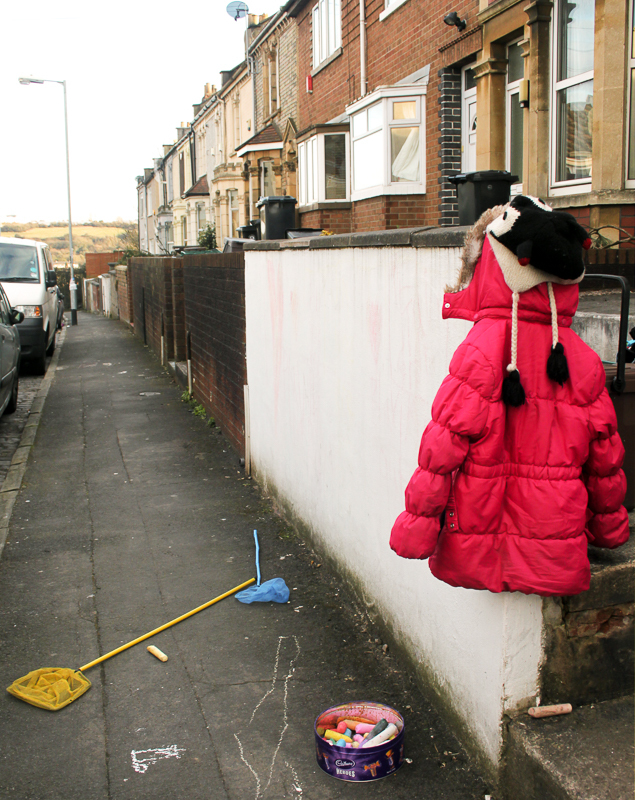 When my two girls were toddlers I felt I knew the landscape of my street and my neighbours’ houses intimately. 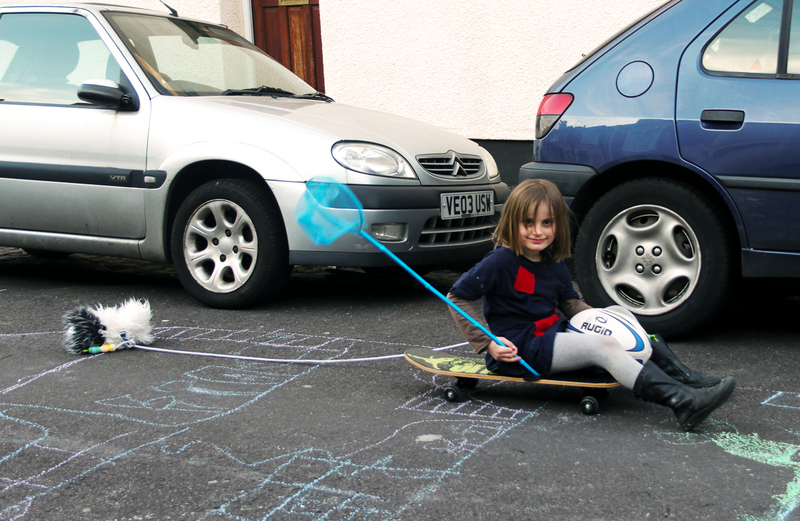 On the way to and from our outings, my daughters would usually stop and squat on the pavement to examine woodlice, litter, or anything else that caught their interest. Their chubby legs would disappear up neighbours’ front steps to see how different their front doors were to ours. They seemed to relish both the familiarity and the difference of these houses which we passed, crowing “Not this one!” to 18 front doors before we got to ours. It struck me as I loitered for what seemed like hours waiting for them, that they embraced their street as a public space open and available to them. I felt the opposite. Although I knew my immediate neighbours to chat to and had one good friend a few doors down, I had no contact with the other residents in my street. And the street seemed very unavailable to me as a place to be sociable – let alone play. 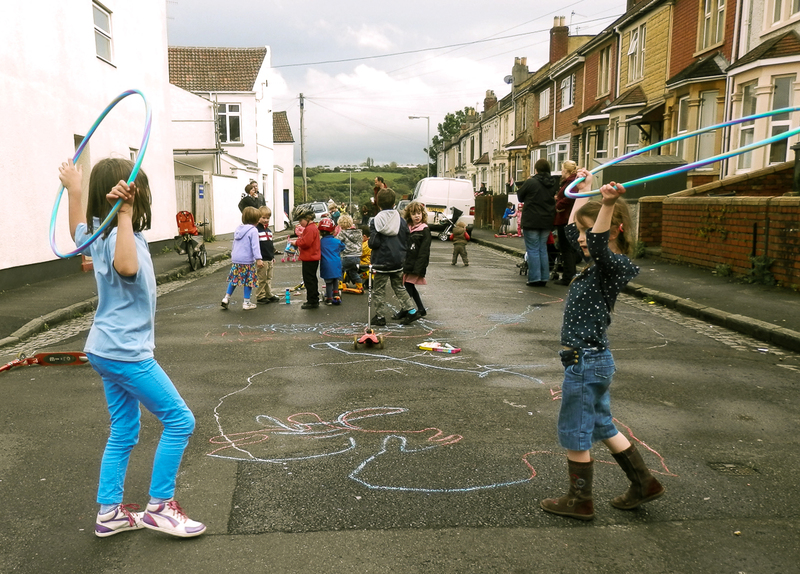 Since that time I have been involved with Playing Out, the Bristol organisation which has pioneered a model for street play now changing neighbourhoods in the city and beyond. 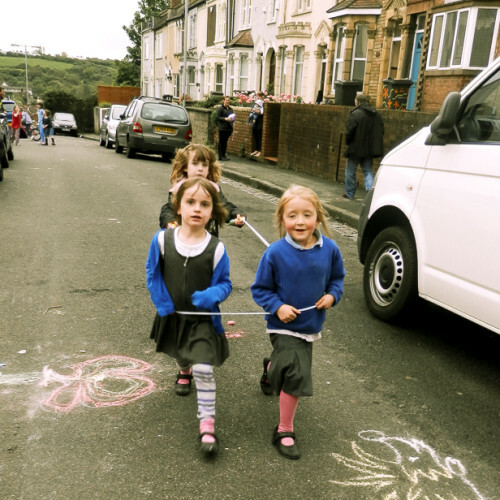 Playing Out is now a small organisation supporting residents who want to enable children to play out safely in the streets where they live. 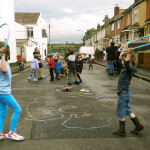 It began four years ago when Alice Ferguson and Amy Rose, two mums in south Bristol, applied to the city council for a formal road closure for play. Permission was given and their road was closed for three hours after school for children to play out. The idea caught on and other local residents organised their own playing out sessions with support from Alice and Amy. Together with my friend on the street, I began to talk to neighbours to find out their views about doing the same. We knocked on doors, had a meeting in a local hall for people to come and give their ideas, and delivered leaflets telling everyone in the street about our plan. Of course not everyone liked the idea. Some people were decidedly lukewarm and some had concerns. 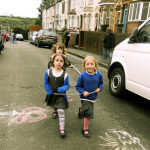 But lots of neighbours I had never spoken to before supported us and saw the point of giving local children a chance to be active and play energetically in their own street. 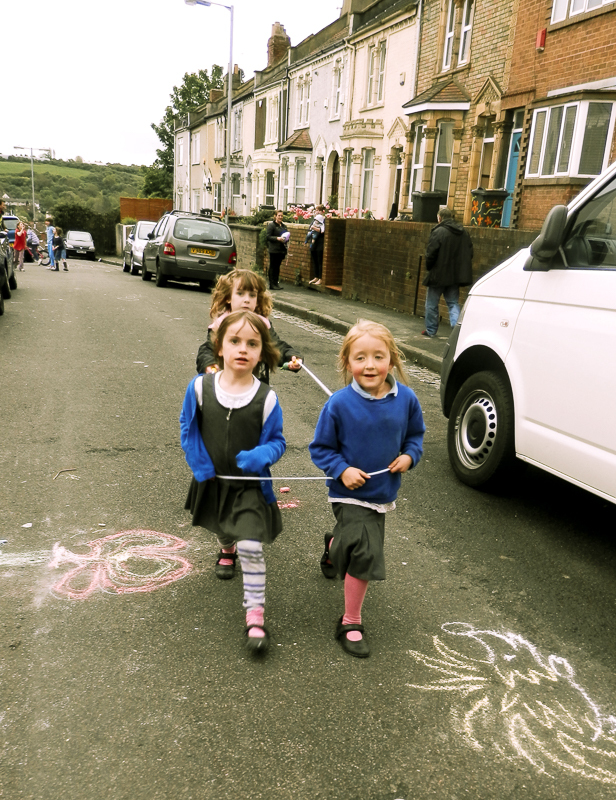 We have been holding regular sessions for a year and I will never tire of looking up the street and seeing a lively muddle of children chalking, scooting, playing with bubbles, skipping and using the street space in their own imaginative way. I take turns with other neighbours to be at the road closure points to divert through traffic and guide residents who need to drive in or out slowly. 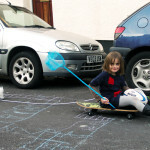 I finally do have a good reason to chat to my neighbours and realise that my street can be a place to play and socialise – not simply park cars and dash into those front doors my children were so fascinated by. 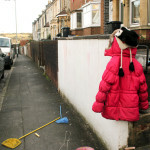 Visit http://playingout.net/ to find out more and follow @PlayingOutCIC on twitter.